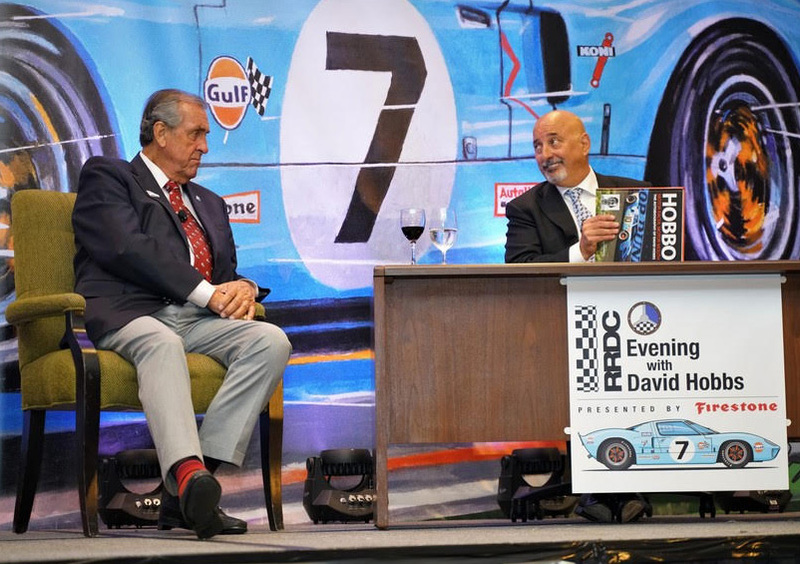 A capacity crowd filled the Long Beach Hilton ballroom April 11 for the RRDC Evening with David Hobbs Presented by Firestone, which included auto racing dignitaries, corporate executives and champion race-car drivers. 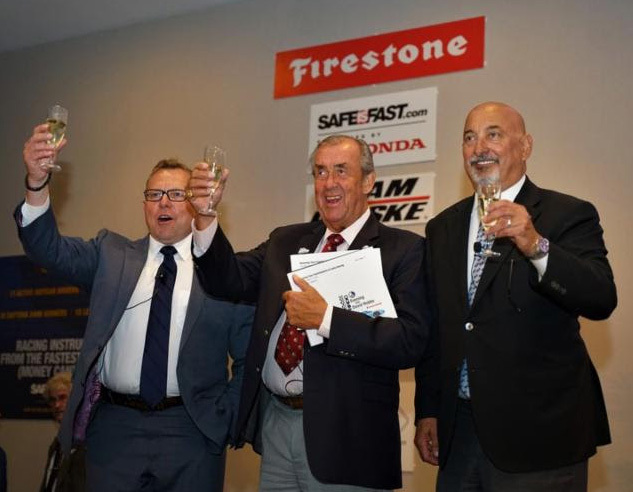 Hobbs, an accomplished driver and TV commentator, was honored by the Road Racing Drivers Club, prior to the running of the 45th Acura Grand Prix of Long Beach. In the audience were representatives from the NTT IndyCar Series, the IMSA WeatherTech Sports Car Championship and SRO Motorsports World Challenge. It was the RRDC’s 11th consecutive annual banquet honoring auto racing’s most influential leaders. 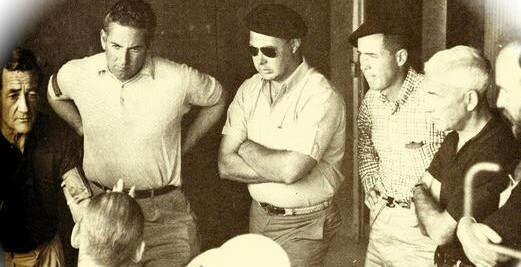 Previous honorees were Dan Gurney, Parnelli Jones, Roger Penske, Jim Hall, Brian Redman, Mario Andretti, Bobby Unser, George Follmer, Emerson Fittipaldi and Johnny Rutherford. Andretti and Follmer were in the audience to help recognize the newest member of this elite group. 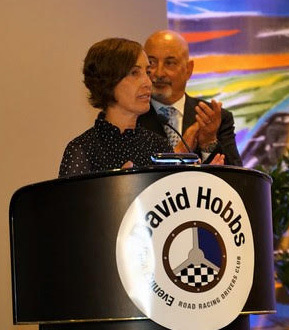 Rahal covered the gamut of Hobbs’ 60 years in the sport, since Hobbs first raced his mum’s Morris Oxford in 1959. They discussed his 20 starts at Le Mans without a victory, his brief Formula 1 career, and his time in the Formula 5000, Trans-Am, Can-Am and IMSA series. 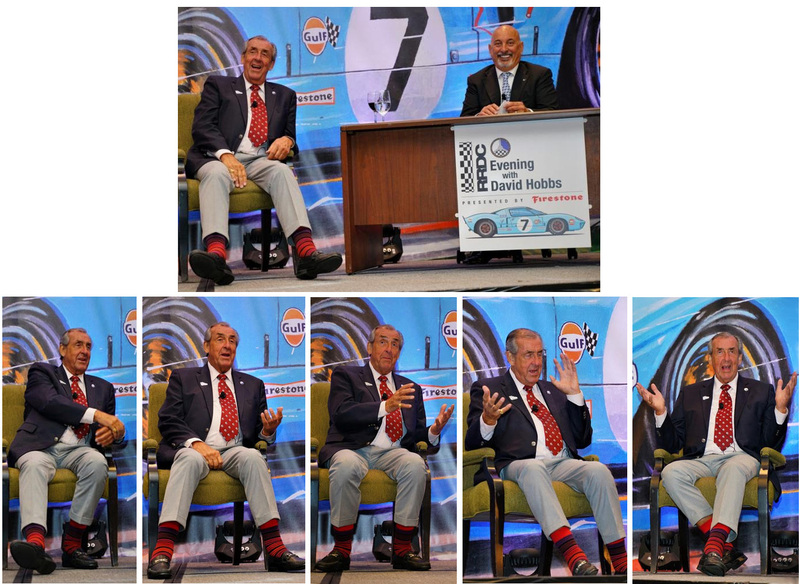 His “unfiltered” quips and honest comments about the team owners he’s driven for and his rivals on the track throughout the years entertained the audience – not unexpected from the 1971 Formula 5000 and 1983 Trans-Am champion known for his “Hobbs-isms” on air and on the stage. Featured on the patio during the cocktail reception sponsored by American Honda was the BMW 320i Turbo, run in conjunction with McLaren Engines, that Hobbs drove to four wins in the IMSA series in 1977, courtesy of BMW of North America. Also on display was the Bayside Disposal Racing Porsche 962 that Hobbs raced with Bruce Leven and Bob Wollek in IMSA in 1984-85. 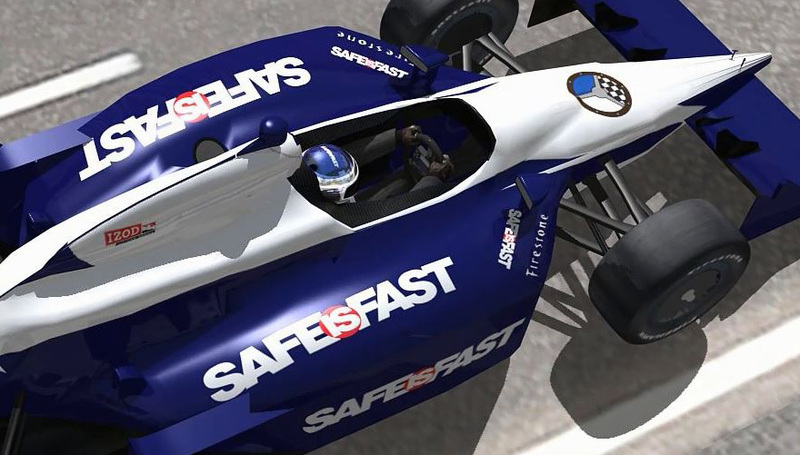 Rahal recognized event sponsors Firestone, American Honda, Porsche Cars North America, Doug Mockett & Company, Team Penske, TranSystems, Trefethen Family Vineyards and Jimmy Vasser’s V12 Vineyards. 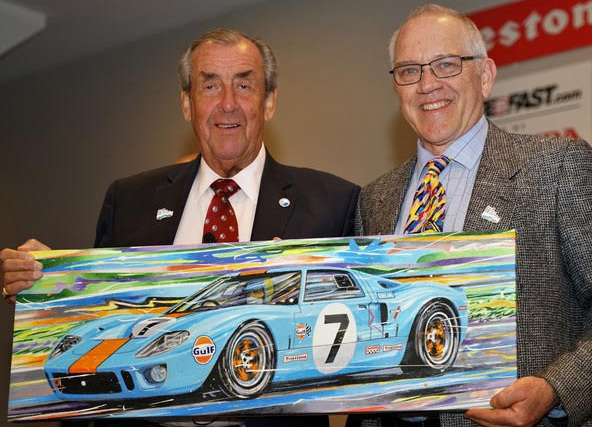 An original painting by acclaimed artist Randy Owens depicting the Ford GT40 that finished third at Le Mans in 1969 with Hobbs and Mike “The Bike” Hailwood behind the wheel was presented to Hobbs by Owens. 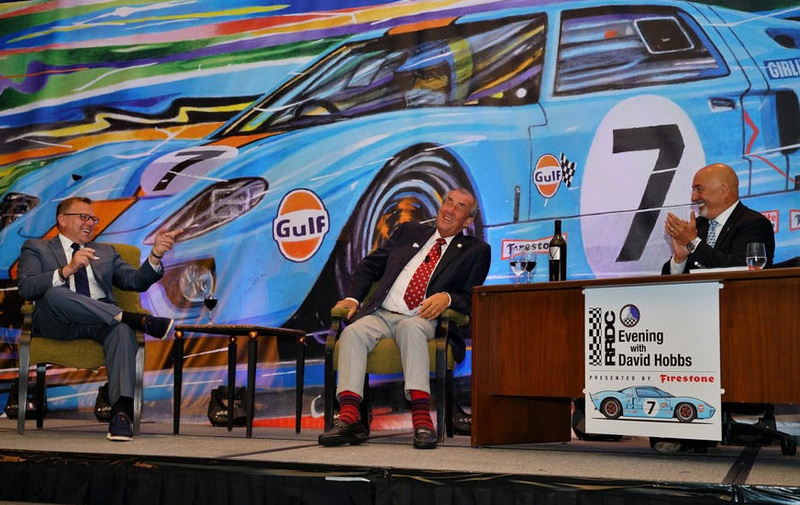 A limited-edition giclee print of the painting, signed by champion drivers and other racing legends attending the dinner, along with a 25-foot-long backdrop of the painting, were included in a silent auction. Also on auction was an original painting by David’s wife Margaret (“Mags”). 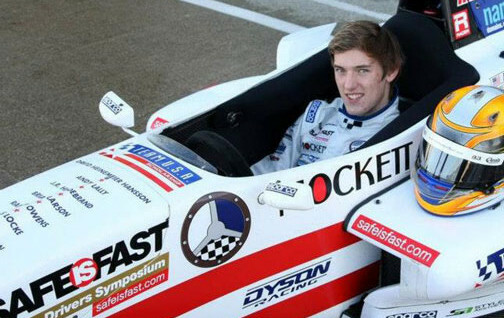 The dinner’s proceeds help support the RRDC’s young driver initiatives, including its groundbreaking SAFEisFAST.com presented by Honda program, and the Team USA Scholarship, which the RRDC has backed since 1997. Team USA is celebrating its 30th anniversary this year.